Who is ready for SUMMER??? Oh, me, pick me! This past Saturday in Cincinnati was absolutely amazing and it reminded me of a classic summer day. We worked in the yard, took a walk around the neighborhood, had snacks and picnics on the driveway and pulled out every riding toy imaginable, it was a perfect day. One problem, it was reminding of how much I miss these summer-like days and I want them all NOW! Kick off your summer with me and my family as we get ready with a “Yeehaw!” for the first annual Summer Fun on the Farm Festival at Bonnybrook Farms. I can’t wait for the live country music, BBQ foods, dozens of attractions and fun contests for the entire family. A bonus to the fun-filled day is that a portion of the proceeds will benefit River Of Hope Ranch, a local non-profit offering equine-assisted mental health counseling to children, teens and adults. The day starts out at 10am with a family fun 5K trail run/walk. The course will run throughout the 370 acres of beautiful farmland with fresh air, rolling hills and creekside views. Participants of the 5K will receive a t-shirt and FREE entry into the festival for the entire day. At noon, let the music begin with the talented Noah Smith Band Nominated for the Cincinnati Entertainment Awards for Best New Artist, Best Country Artist and Best Singer/Songwriter. Next in the line-up is the popular Americana band, Wilder. We are excited to bring some fun country music to the farm. Want to try something unique? Bonnybrook Farms offers one-of-a-kind activities at theActivity Zone with giant slingshots, clodhopper golf, and an 80’ underground slide. Various farm characters and animals will also be there to greet you. Looking for some friendly competition? We’ve got you covered with an ice cream eating contest, farmer’s race, cane pole fishing derby and more. Young or old, there is something for you here. By 5:00pm, the fun is just getting started with an amazing show from 90 Proof Twang! Awarded the 2015 Best Country Music Band in the Ohio/Kentucky/Indiana tri-state area in 2015 by City Beat Magazine, you won’t want to miss their infectious energy and southern country/rock show. 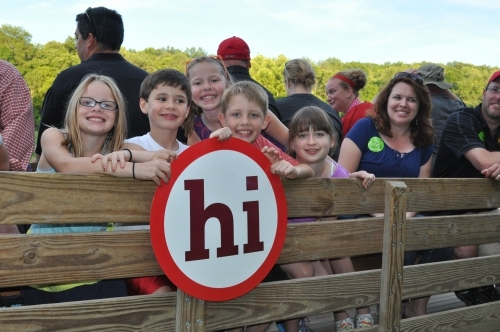 So how can you join The Herron Nest at the Summer Fun on the Farm Festival at Bonnybrook Farms? Visit bonnybrookfarms.com or call 937.289.2500 to purchase tickets, register for the 5K, and learn more about the day’s events. 1. Leave a com­ment on why you’d like to attend this great event, perhaps you love country music or great food or you want to pet a goat – just let us know! 3. Tweet about this give­away by includ­ing @BonnybrookFarms and @jesyherron in your tweet. Winner will be picked via Random.org and will be notified on 6/5/15. You will have 24 hours to respond to me via email or else I’ll need to pick a new winner. There is only ONE date for this giveaway event and it is RAIN OR SHINE, please be sure you can use the tickets. Tickets will be mailed directly to the winner. Dis­claimer: I’ve been given four tickets for my family to enjoy as a thank you for help­ing to pro­mote this event. ← Kitchen Makeover Is Starting NOW! I’ve always wanted to take my family to one of Bonnybrook Farm events. They sound like so much fun! I really want to pet a goat! I would love to win because I love country music. I like BonnyBrook Farms on Facebook. I love BBQ! My son came here on a field trip and loved it!!! My daughter loves animals and we’ve never been there! We’ve never been, and I’d love to do this adventure with my family! I am a FB fan of Bonnybrook Farms! I signed up to recieve The Herron Nest newsletter! Thanks! We’ve never been to Bonnybrook Farms and would love to go! 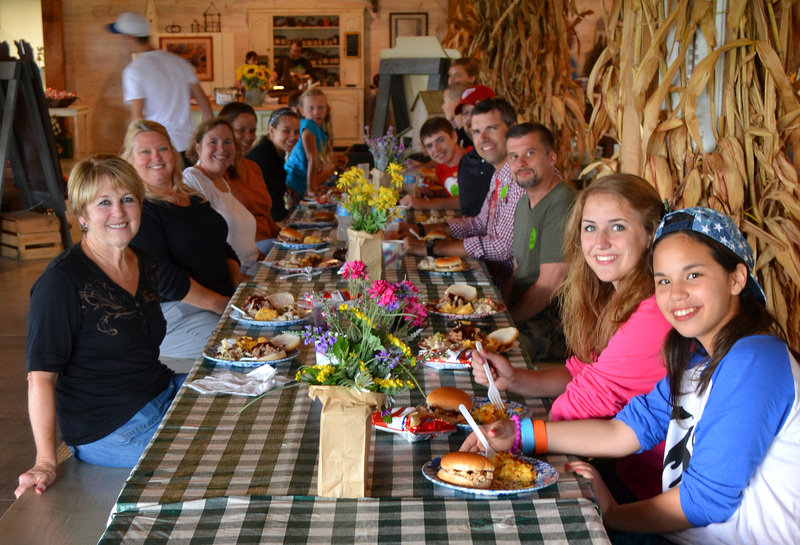 My family has never been to Bonnybrook Farm and this sounds like a great time for everyone! I love Bonnybrook Farms! Would love to win – – I do love country music! Would love to take my family to this event! Please pick our family. Our four year old would have a blast! We are new to Ohio and visited Bonny Brook in the fall with some friends and had so much fun! My son loves being on a farm and we enjoy going to farms to get away from the city life. My family would love to spend the day here for something out of the ordinary! I would love to take my family. We have never been and I love to experience new things with my family and making new memories. This looks like a great memory and possibly a great tradition to start!!!!! YOU WON girl!!!! Please email me jesyherron@gmail.com within the next 24 hours and please be sure to include your mailing address so I can send you the tickets. Be sure to check the date again to make sure you and your family can go, and I’ll see you there with my Nest!!! I signed up for the Herron Nest newsletter. I have heard/read so many wonderful things about this place, I would love to take my family, we would enjoy all the fun things Bonnybrook farms has to offer! I would love to go because we have not visited yet! Four grandkids and would like to take them all. This sounds like a fun day. We have never visited Bonnybrook farm.